« A bit more than “A day in the life of…” ! 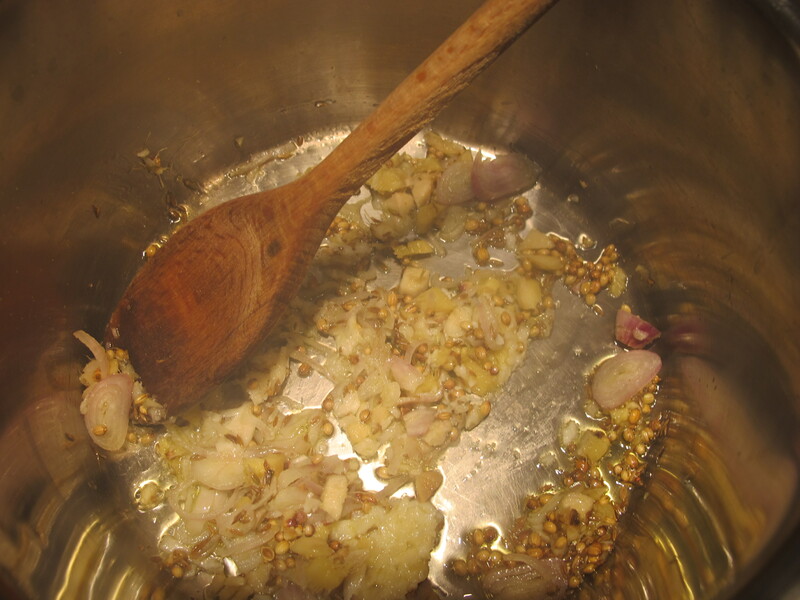 My favorite recipe is similar, garlic, ginger, scallion, black mustard seeds, a dried hot chili (or two), ground corriander seeds. 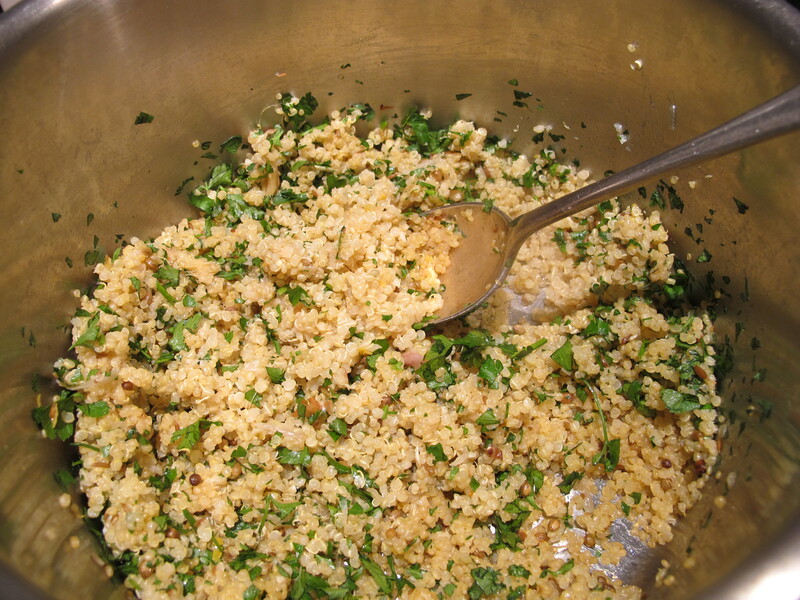 Then at the end fork in fresh cilantro and more chopped scallions (or chives). Loved watching Sam on “Top Chef” here in America. I’m very anxious to try this since I’ve yet to find a quinoa recipe that I really like…and I want to like it! This recipe looks delicious Robin, I will definitely look for quinoa when I’m shopping next. Just wondered if it might be vaguely similar to couscous or does it taste more like rice? It reminds me of couscous. Brenda, it can be really good if you dress it up right–but just plain, I find it dull. 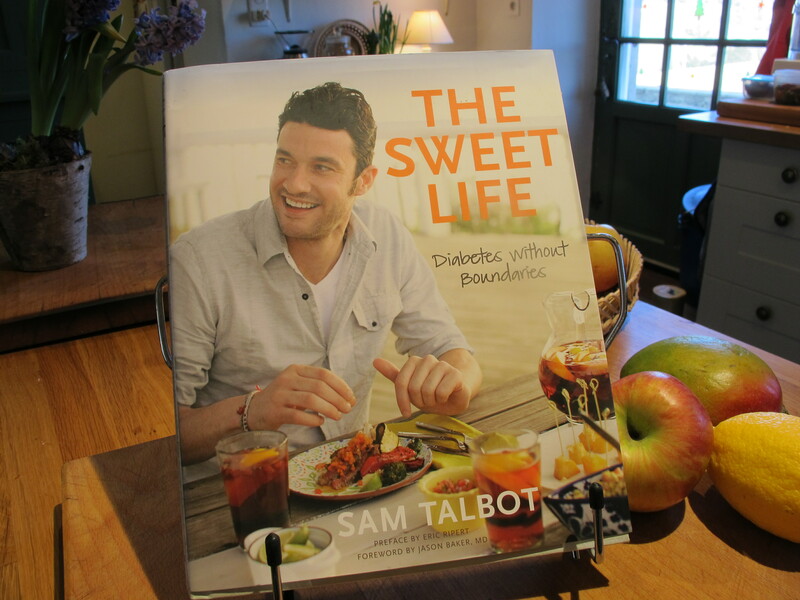 Robin’s usual method is delicious but this new recipe from Sam Talbot is excellent too. I was fascinated to read that quinoa wasn’t imported into the United States until 1984. Apparently it is high in protein–useful for vegetarians–and gluten-free–a good alternative for those who don’t eat wheat. It’s has many vital B vitamins & nutrients: magnesium, calcium, riboflavin, copper, iron, zinc, potassium and fiber. It seems to be a “super food”. http://www.3fatchicks.com/5-health-benefits-of-quinoa/. I have to be honest and say that though I have read about it in your blogs I have not discovered it in the shops here in England, do you need to visit a health food store or am I just looking in the wrong place in the stores? I would like to give it a try has I think it would be good for Jimmy,who is diabetic 1.
on February 24, 2012 at 12:29 am | Reply Dianne P.
Question for you & Meredith: Do you have a firm date & time for New York? We looked online for that Cafe Margot place, but it sounds like a little bistro, not a bookstore…? (Perhaps we could all do lunch!?) Hope to see you soon! PS: Sorry to ask here, but we don’t Tweet or have Facebook. I just toss a handful into vegetable soup, as you can with red lentils. It works very well and gives a bit of bulk to make a wholemeal soup. That sounds good (as does Donna’s recipe). I have messed around with quinoa a bit, but need something like that to get me going. Spelt also works as a good alternative to rice and has the advantage of being a European (even, I think, native British) grain. I use quinoa regularly. The texture, to me, is unique. I find it “grainier” than couscous or rice, but that is not a negative for me. I’ll add that in the US, if your box of quinoa doesn’t say “pre-rinsed”, it’s important to place it in a sieve and rinse it well before cooking. 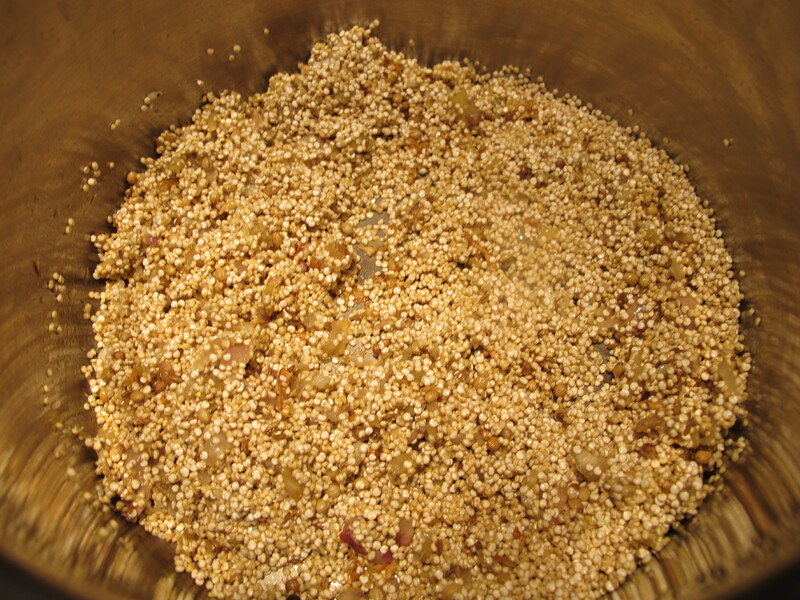 The grains have a natural coating on them that imparts a bitter taste if not rinsed away. 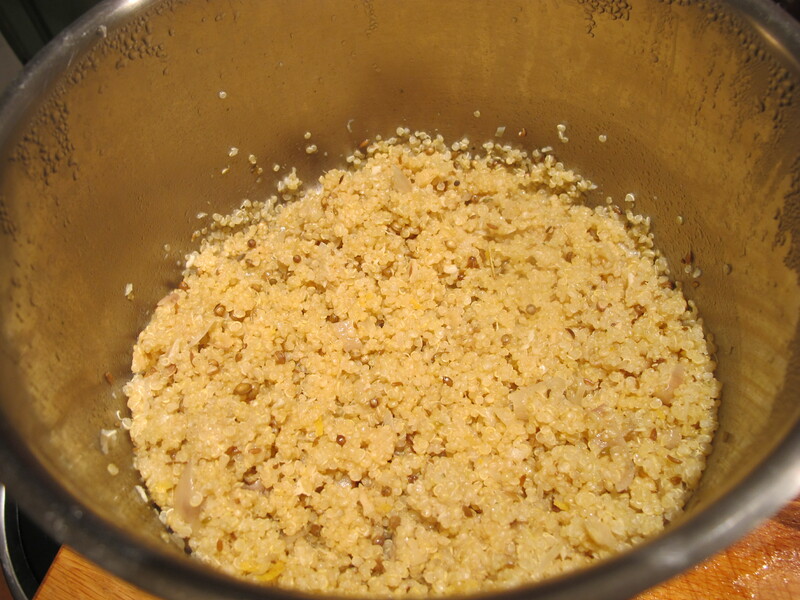 For those of you looking for another “approved” side dish to serve at your Passover meals, quinoa is cleared for Passover use as it is technically a grass seed and not a grain. It is also works wonderfully for those who follow a gluten-free diet–it adapts well for most of the couscous, orzo, and rice recipes you may have on file. I sometimes add mushrooms, or chopped vegetables, or cranberries, or chopped dried fruits, and serve it with a dressing as a room temperature “salad”. It transports well. And Robin’s yogurt sauce could also be a delicious accompaniment. Eager to read about your New York City schedule. Safe travels.